The Progressive International 6-In-1 Multi Opener opens 6 different types of seals and lids including bags, safety seals, pulltabs, bottle caps, bottle tops, and jar lids. 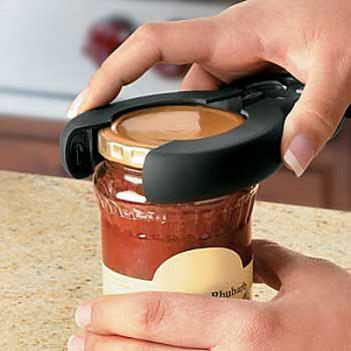 You no longer have to make that long haul trip to grandma's house just to open that bottle of jam for her. Just get her the 6 in 1 multi opener and forget about her until Christmas time.